بني في 1985, Amity Lodge Motel هو ميزة مُضافة لـ كوينز تاون و خيار ذكي للمسافرين. يقع مركز المدينة على بعد 1 km فقط. ويمكن الوصول إلى المطار خلال 10 دقيقة. بالنسبة لمن يريد الخروج، هذه بعض المعالم السياحية المتوفرة للزوار رحلات سفاري نهر دارت, Silver Fern Gallery, Vesta Design Store. استمتع بالخدمات الراقية والضيافة التي لا مثيل لها بهذا الفندق في كوينز تاون. لضمان راحة ضيوفه، يقدم الفندق الخدمات التالية: واي فاي مجاني في جميع الغرف, مرافق مخصصة لذوي الاحتياجات الخاصة, تخزين الأمتعة, صف السيارات, غرفة عائلية . تتضمن كل غرف النزلاء وسائل الراحة والتسلية المصممة خصيصاً لضمان الراحة القصوى للضيوف. يمكنك طلب اللائحة الكاملة للخدمات في الفندق ومن بينها التزلج على الجليد. إن Amity Lodge Motel هو خيارك لخدمة الفنادق الراقية في كوينز تاون. We got a promotion rate for this booking... The room is big with a living room and also clean. Hotel staff is nice. It's about 600 m walk to Queenstown city centre. Good location, short walk to town centre. Clean, but slightly dated. Nice couple that run it. Distant to city centre as it takes 15 minutes to walk and need to walk uphill on the way back to hotel, one heater in the sleeping room didn’t work, and we are requested to wash the kitchenware if we use it. Moreover , we were charged $50 per night for the kid even we booked 2 adults and 1 child in Agoda, The owner said we were only booked for 2 adults..
only 5-7 minutes walking distance from the shopping and food outlets but could be challenging for some people having trouble walking upslopes. 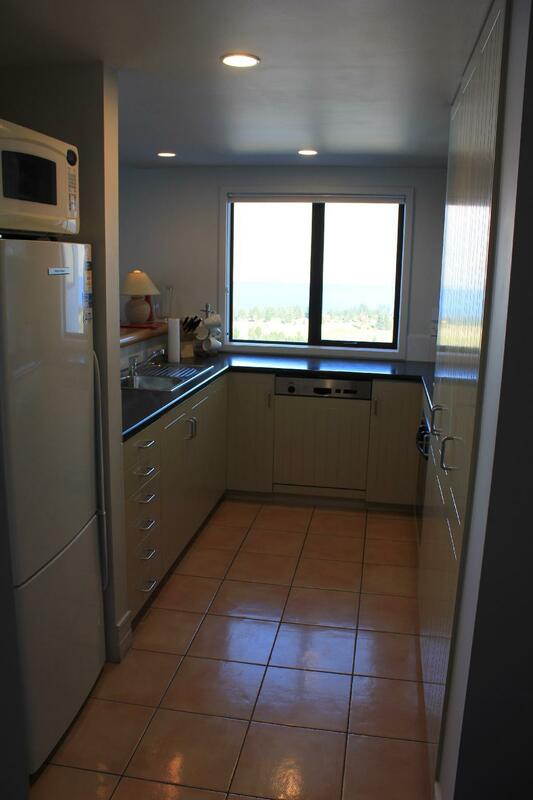 Good kitchen that can be used for cooking non-smelly food talk to the owners as to what can and cannot be cooked. Just stay a night and i am satisfied with the apartment facilities. Nearby to the town, 10 minutes walk. There are heater and bed warmer. 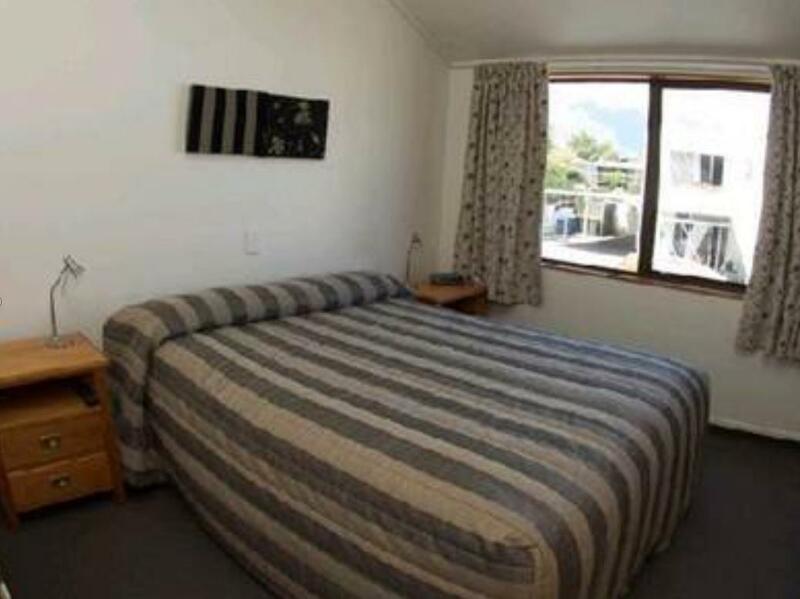 The most comfortable place we stayed in New Zealand. All facilities we need are provided. Heater provided enough make us a good stayed. Amity Lodge is your basic, rustic country motel/cabins. It's exceptionally clean and Pete and Fi are gems. It's not luxurious but very comfortable in every way and just down the road from the general store and restaurant. The bed and pillow were the most comfortable we found on all our travels. If you want luxurious move on but we would definitely stay here again and recommend highly. Absolutely loved my stay here. My best friend and I (mid 20's) met up for a weekend away. The staff were friendly and helpful, we took the 7min walk to town every day and enjoyed playing fetch with Karla (the dog). Quiet little street but perfect location, 100metres to bus stops and easy 10min walk to the lake. SEE YOU NEXT TIME AMITY! Friendly staff but the price abit expensive. The owner greeted us as long lost friends and that feeling never waned, the rooms were very clean with all utensil's required for cooking and the beds were comfortable with plenty of clothes storage. The walk downhill was easy, around 10 minutes, even with our bad knees and feet, then a $7.50 cab ride back was worth it. Doug, the owner, went above and beyond to acquire our TV channel so we could watch our sporting team play. i was go here with 2 young child,and my parents total 4adult.when i arrive this hotel.the staff told me to take more room.but i think i can share room with my younger child.Because i book for 2 room apartment.the staff doesn't care.even this hotel is good but the staff(owner is not really good. We settled in for three nights in this motel and enjoyed it very much. 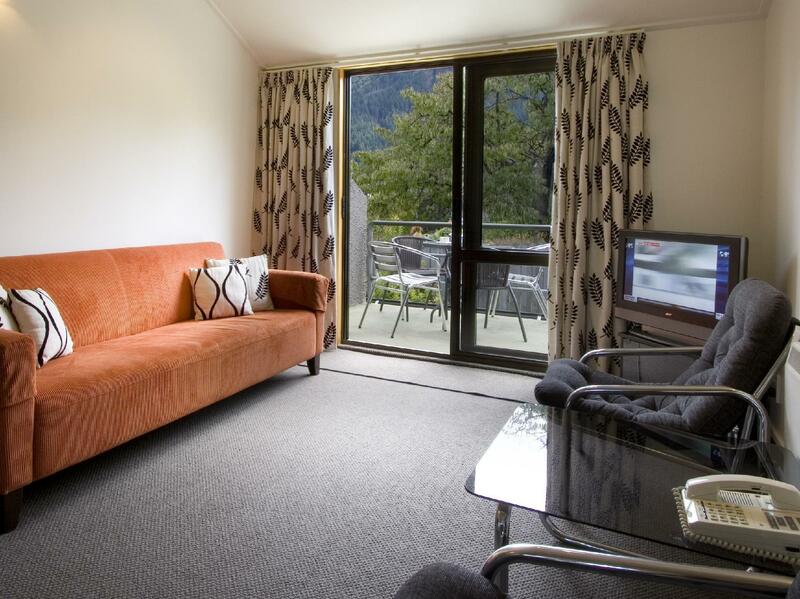 We were actually upgraded to a two-bedroom apartment though we didn't need the second room and left it closed to save the heat--Queenstown was having a cold snap when we were there (early February). 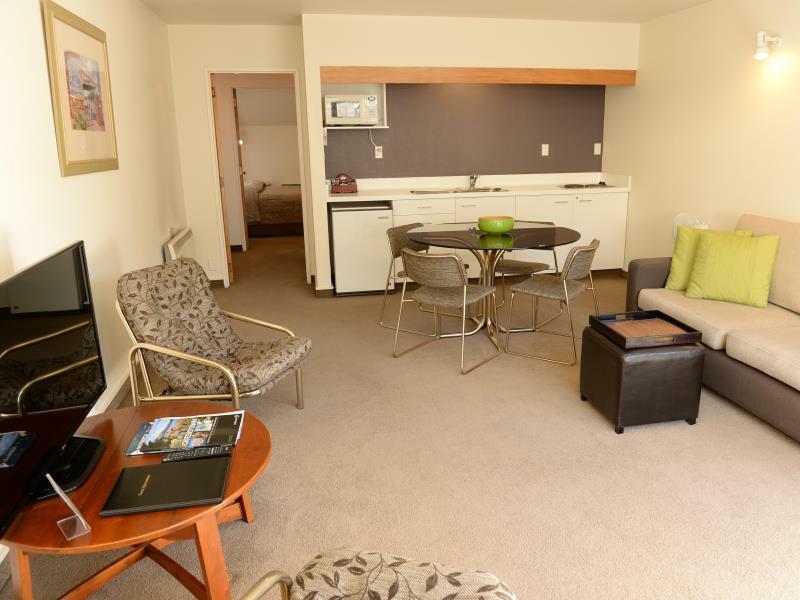 It was great to have the separate bedroom and living/dining room and the kitchenette was well equipped. The owners were very friendly and helpful, always there when needed (during the posted hours), and the coin laundry was a great help (laundry powder provided). There is a steep walk down to town and back up but it's good exercise! Highly recommended.